The archipelago of French Polynesia closest to the Equator, it is also the farthest from the island of Tahiti, at a distance of about 1,500 km (900 miles), it includes a dozen islands and islets of which only six are inhabited. Like all the islands in French Polynesia, the Marquesas are actually the top of gigantic submerged volcanoes, now inactive, risen from the bottom of the ocean between 1 and 6 million years BC. Geologically «young», these lands make all the roughness and size of their scenery with their powerful ridges, cliffs diving straight into the sea and their peaks rising sometimes to over 1,300 m in altitude. 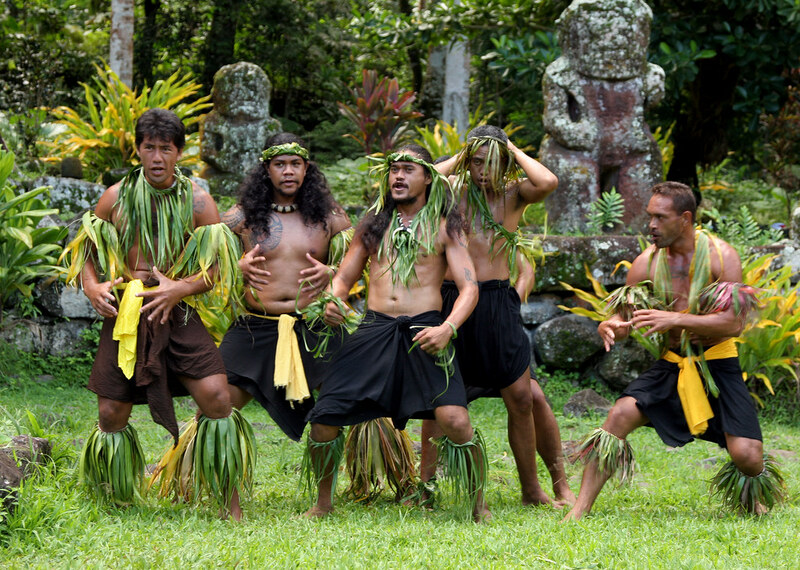 The settlement of the Marquesas by Polynesian sailors coming from the West dates back to around the year 1000. Once they were settled, the Marquesans developed a highly structured and complex civilization. It was not until 1595 and the brief landing of Spanish navigator and explorer Mendana that the first contact was established between Europeans and Polynesians. The early 19th century saw European settlements. then in 1842, France annexed the archipelago. The shock of colonization caused a dramatic decline in population, which only ended in the early 20th century. Today the Marquesas count about 8,300 inhabitants. The islands of Nuku Hiva and Hiva Oa are the most populated. The main activities are agriculture, fishing and tourism, which can enhance the important natural and cultural heritage of these islands.